Public meeting to discuss the plan on Monday, October 1 at 5:30 p.m. in the Board Room of Park Forest’s Village Hall. Park Forest residents are learning more about the Future Ready 2022 plan adopted by School District 201-U in June. The plan aims to prepare students for a changing world – inside of new and newly renovated facilities in Monee and Crete – while shoring up financial shortfalls through the closure of several schools, including one in Park Forest. Interim Superintendent Dr. Kara Coglianese officially introduced District 201-U’s plan to Park Forest stakeholders at Park Forest’s Board of Trustees meeting on September 17. “In preparing our students for a future to move forward, we really need to think about how our students are going to be prepared for the 21st Century moving forward,” Coglianese said. The Future Ready 2022 Plan focuses on student learning in seven key areas: STEAM (science, technology, engineering, arts and math) labs, equity for all, cultural competency, technology, financial literacy, critical thinking, and global/local connections. The district dovetailed its plan to bring about changes to student learning with its addressing of financial woes. The consolidation calls for the shuttering of several district schools, including Park Forest Forest’s Talala School. 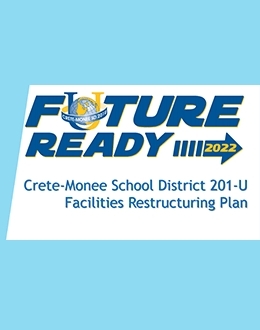 The district would also borrow an estimated $85 million dollars for construction and renovation work where the consolidated schools would be located in Crete and Monee. Enhancements to the schools call for technology-focused classrooms with increased natural lighting and flexible seating. Coglianese attributed the inability of the district to implement a facility plan sooner to the changing of superintendents, difficulty in identifying a way to fund a plan, and issues surrounding school funding formulas at the state level. “We had a couple stops and starts in between, but right now in 2018 we are looking to continue with building the facilities. But with the equity piece that is coming in, that is beginning to change the conversation again, and we want to make sure the buildings are equitable across all of them,” Coglianese said. 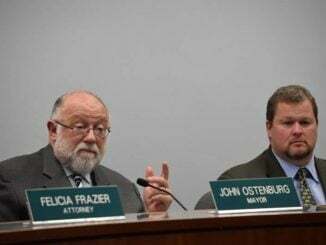 The plan’s estimated impacted on Park Forest taxpayers, due to the spreading out of costs over 20 years, amounts to two dollars, the interim superintendent said. Park Forest Mayor John Ostenburg said Village officials needed time to evaluate the plan and analyze resident feedback. 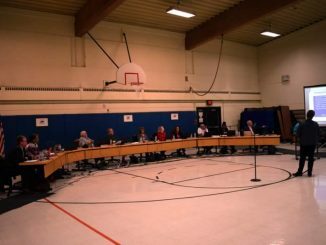 Park Forest board members are expected to meet with District 201-U officials to further discuss the plan during a public meeting on Monday, October 1 at 5:30 p.m. in the Board Room of Park Forest’s Village Hall, 350 Victory Drive. The school district is now seeking the feedback of area stakeholders prior to an October 6 meeting. Residents are encouraged to complete a survey about the plan at www.cm201u.org. Talala Elementary School is attended by just close to 320 students who live in the Will County section of Park Forest located south of Sauk Trail. 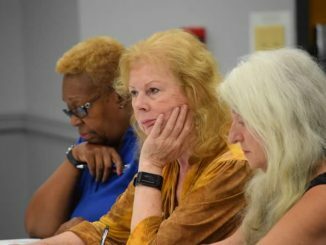 Park Forest officials adopted a resolution supporting local school in the community at the September 17 meeting and sent letters to 1,100 residents who stand to be impacted by the plan.